Recent research is examining the relation between forests and atmospheric water. Douglas Sheil, a former CIFOR scientist and current Senior Research Associate explains that this is certainly a fast-moving subject with a lot that has considerably in the last few years. Forests play an even greater role in in determining rainfall than previously recognized. Moving forward, Douglas stresses that local values, views and practices are often supportive of maintaining forests and forest diversity, and we should learn to work with these opportunities rather than against them – we need approaches to achieve that. Douglas Sheil first visited CIFOR in 1996 and was based there for 10 years, from 1998 to 2008. Since then he has been a CIFOR Senior Research Associate. Douglas is currently a Professor in Ecology in the Faculty of Environmental Sciences and Natural Resource Management (MINA) at the Norwegian University of Life Sciences (NMBU) in Ås, near Oslo. Douglas was born and raised in Ireland. He trained in natural sciences, switching from molecular biology and biochemistry to tropical forest ecology when he realized that there was more fun to be had in the forest than the laboratory. He worked with the International Union for Conservation of Nature Union in East Africa and then, after completing his doctoral studies at Oxford, in the UK, and in the Budongo Forest in Uganda, he moved to CIFOR. He then became the Director of the Institute for Tropical Forest Conservation in the Bwindi Impenetrable World Heritage site in Uganda, where he lived in the forest for four years. Douglas’s research interests are broad, though most of his research relates to the ecology and conservation of rainforests. Although trained in biophysical sciences, he has been very much influenced by his time working with forest-dependent communities. He says that being overly argumentative sometimes gets him into trouble – but he says that that is part of his Irish culture, and is useful for understanding different perspectives. Douglas is also Adjunct Professor of Southern Cross University, New South Wales, Australia. He is the Winner of the Queen’s Award from the Commonwealth Forestry Association 2015. Discover more about Douglas’ research at ResearchGate and at Google Scholar. His interview for the Queen’s Award can be found here. How can we better engage with people who live in forest landscapes to ensure that we find choices that can benefit them and their futures, and also address global concerns? Millions of species along with thousands of millions of people depend on tropical forests. In many regions, these forests are disappearing. That’s not OK.
We need to make the best decisions we can, guided by the best understanding we can provide. We need good science and we need a loud voice. What was the main focus of your work when you were at CIFOR? My training is in ecology and forestry. Most of my work before CIFOR was about conservation and conservation surveys, and my doctoral work had focused on assessing and understanding how natural forests change over time. When I started at CIFOR there weren’t many ecologists and I became involved in many different things. My main focus was on CIFOR’s Research Forest in Kalimantan. 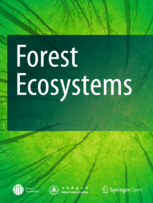 Much of my work fell under two major themes: (i) devising and evaluating methods to determine and demonstrate community-centered conservation priorities; and (ii) investigating and clarifying the potential role of logged forests and improved timber management for conservation. Both these themes generated considerable momentum. How have your research and activities paved the way for future forestry-related developments and research? Quite a number of them were useful to influence policy and practice, and have influenced a lot of research. 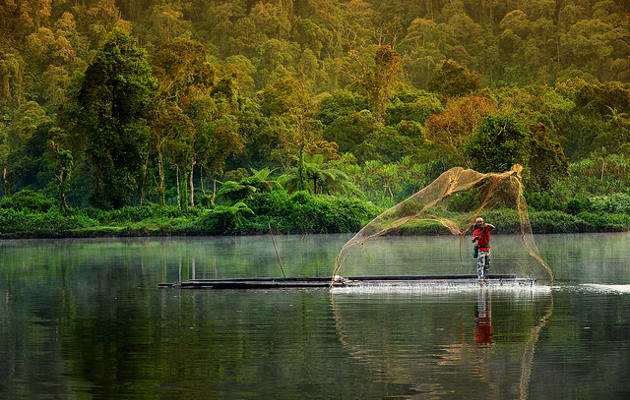 For example, Malinau in Kalimantan defined itself as a Conservation District (Kabupatan Konservasi). Many of the outputs we developed in that project, including information posters, playing cards and videos, are still visible in Kalimantan. Further, our research methods were adopted and adapted by the regional government in Papua as a basis for land-use planning. I was also pleased that our book, Life After Logging (more especially its Indonesian version Hutan pasca pemanenan: melindungi satwa liar dalam kegiatan hutan produksi di Kalimantan) is widely known in the region and has been influential in defining good practice. If you could choose one piece of work (output) that would be the highlight of the research you did at CIFOR, what would it be? Why is it a highlight? I would have to refuse in protest. Ten years in Bogor (and 20+ with CIFOR) is a long time and I need more than one choice (a parent cannot choose among their children). Let me assume you will permit me a handful of outputs. Firstly, regarding community-focused conservation we produced many outputs, but to pick one early example I would suggest, Recognizing Local People’s Priorities for Tropical Forest Biodiversity, as it explains our wider vision. As a more recent example from this line of research I would highlight, Unseen Sentinels: Local Monitoring and Control in Conservation Blind Spots. 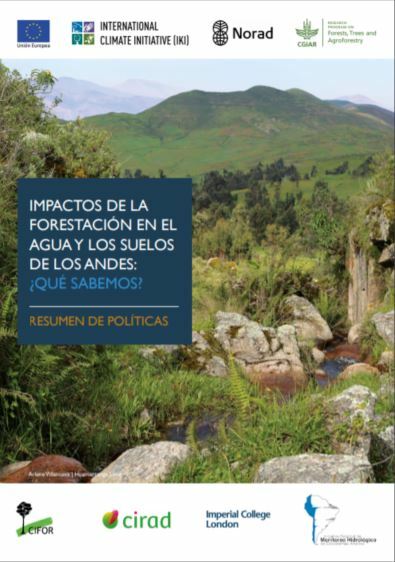 To me, this is especially important as it underlines something that many of us are unaware of: the neglect of how and why communities protect and manage forest landscapes and their associated values. There is much still to do in this subject. Secondly, the project on incorporating timber production forests into conservation practice was a major counter balance to the (still) often polarized discussions around these themes, showing that there was a constructive middle way. I brought in various experts to help and the book Life After Logging was one result. The book is a highlight as it brings science and practice together to show a potentially constructive way forward that we promoted widely in Southeast Asia. While at CIFOR I also led a major review on oil palm that looked at the positives and the negatives and avoided polarized perspectives and provided a foundation for more recent work. If I am permitted another footnote I would highlight the book I co-authored, Tropical Rain Forest Ecology, Diversity, and Conservation, for Oxford University Press. 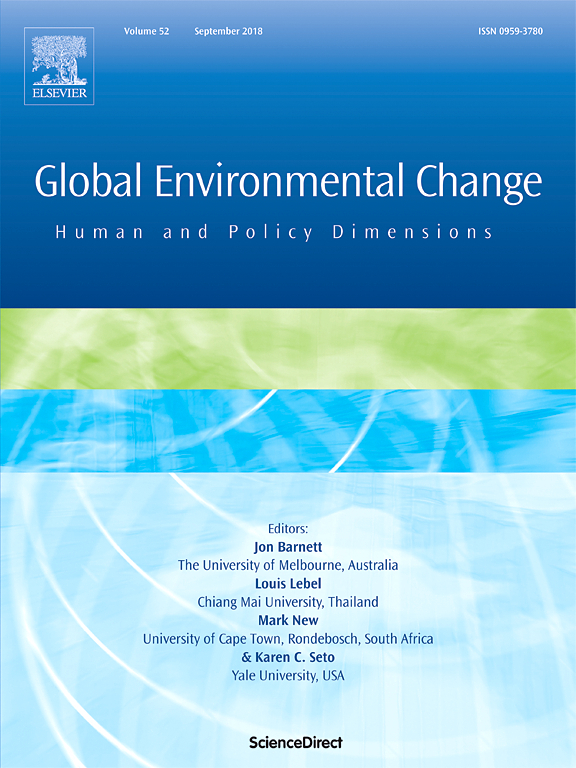 Though it was published only after I left CIFOR, much of the work was done before that. The book summarizes information on a wide variety of topics related to rainforests and rainforest peoples. Working on this book allowed me to read very widely and it was this that generated much of my interest in new thinking on forests and water. Since being at CIFOR, how have you seen research in your field evolve? There have been changes, though not always as fast as I would like. I work on multiple subjects so there is not one answer – but having worked so long in Kalimantan, the recent rapid loss of Borneo’s forest seems tragic. The focus on community-led forest management and conservation has proceeded. Rather than deeper insights, I think most of the advances have been fuelled by ethical recognition that top-down conservation is too often oppressive and unsustainable. Indeed, I am struck that, though there have been a number of impressive meta-analyses, many practical aspects still remain a matter of judgment rather than evidence. The work on improved timber harvesting has certainly progressed too – many practitioners and academics are much better informed than they were two decades ago – but there are still too many polarized (and often outdated) viewpoints around selectively logged forests. The long-time neglect of the conservation values in these forests still allows them to be cleared and converted – that’s a pity. Much of my more recent work is on the relations between forests and atmospheric water – that is certainly a fast-moving subject and much has changed in the last few years. In brief: forests play an even greater role than was previously realized. What future challenges related to your research area do you foresee? How does your research address these challenges? One major challenge that concerns me is the place of natural forests in a democratic world. How can we better engage with people who live in forest landscapes to ensure that we find choices that can benefit them and their futures, and also address global concerns? Foresters, conservationists, researchers and policy makers alone cannot maintain a healthy planet. Forests will only survive in the long term if there is sufficient support. Can we make that work? How? Much of this is about recognizing the many values of forests and seeing what it is that people are willing to do or see done under what circumstances. Much of my recent work is about the values and benefits that we and others derive from forests (including some that remain poorly understood and recognized). I, for one, am convinced that forests play a much greater role in sustaining the climate system than most people recognize (even climate researchers) and getting greater attention to these linkages and processes is profoundly important. Forest conservation in all its forms is a crucial goal and one where I work with others to find new knowledge about what works and what doesn’t. I underline again that local views, values and practices are often supportive of maintaining forests and forest diversity, and we should learn to work with these opportunities rather than against them – we need approaches to achieve that. Why do you think that the work CIFOR does on forestry is key for the future of our planet and the people living on it? Because it is, self-evidently, true. Millions of species along with thousands of millions of people depend on tropical forests. In many regions, these forests are disappearing. That’s not OK. But of course it isn’t the only problem we face. Extinctions, poverty and intergenerational-equity all raise a complexity of ethical and practical concerns around forests and forest lands. Losing these forests and their myriad species endangers not just the immediate well-being of billions of people, but also the options available for future generations. We need to make the best decisions we can, guided by the best understanding we can provide. We need good science and we need a loud voice. Douglas Sheil - Do forests attract rain?